"Honest and popular don't go hand in hand"
An early example of a movie reviewed for its budget rather than its quality, Ishtar sits only a notch below Heaven's Gate in terms of the critical scorn and audience indifference hurled its way. It may not have ruined a studio, but it certainly helped ruin the directorial career of Elaine May (who also wrote it), and long served as one of a handful of poster children symbolizing Hollywood excess prior to today's Tentpole Era. Me, I've always thought the movie got a bum rap. Having seen it during its initial—extremely brief—theatrical run, I remember being puzzled by the critical pummeling. Certainly it wasn't The Greatest Comedy Ever, but it was clever, entertaining, and silly in equal portions. Essentially a big-budget homage to the Bob Hope-Bing Crosby road pictures (anyone remember those? ), it revels in the absurdity of Dustin Hoffman and Warren Beatty, as two of the world's worst songwriters, getting dragged into an international crisis involving the CIA, gunrunners, and Middle Eastern revolutionaries. 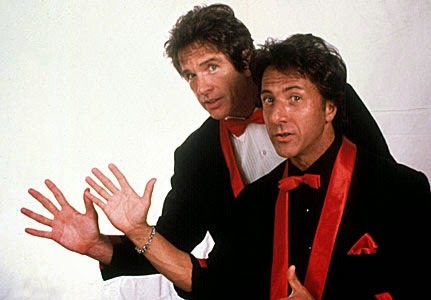 Hoffman and Beatty have a blast playing against type (Beatty is hopeless with the ladies), bringing real zest to their off-key interpretations of the deliberately awful Paul Williams songs they're meant to have written. Some of it may be dragged out and, at times (yes), excessive, but like the characters in a Will Ferrell or Farrelly Brothers movie, these are very smart people playing stupid, and most of the time they get it right—especially Charles Grodin, whose sly underplaying steals every scene he's in. An even bigger, noisier comedy exemplifying big-budget Hollywood hubris, 1941 was Steven Spielberg's follow-up to Jaws and Close Encounters of the Third Kind, and was his first major overreach. Set in California just after the bombing of Pearl Harbor, it's from the Mad, Mad, Mad, Mad World school of comedy, with Spielberg showing even more disdain for subtlety than usual. And yet, if you like your comedies big and loud—or are a fan of Dan Aykroyd, John Belushi, Tim Matheson, Nancy Allen, or (I know you're out there) Eddie Deezen—there are some genuinely amusing moments ("Look! A baby wolf!"). After all, the script is by Robert Zemeckis and Bob Gale, the guys who went on to write Used Cars and Back to the Future, so it can't be all bad. And it's certainly more watchable than Spielberg's recently departed Tintin. This mix-and-match shaggy dog comedy, shot as a series of shorts over a period of years, may not be director Jim Jarmusch's best work, but it has enough good scenarios to make up for the less good ones. 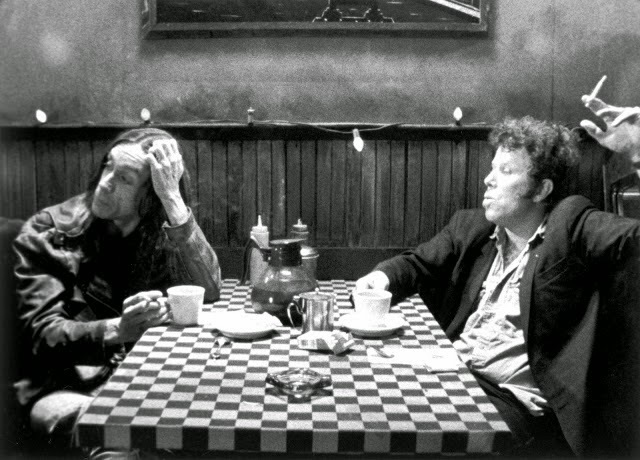 Shot in the grungy black-and-white style of his earlier Stranger than Paradise and Down by Law, it's basically a series of one-on-one, seriocomic encounters between stars of varying wattage as they consume, well, coffee and cigarettes. Highlights include a squirm-inducing Alfred Molina-Steve Coogan faceoff, Bill Murray riffing with RZA, and Cate Blanchett sharing a tense, remarkable encounter with...herself. This is the fifth Howard Hawks movie now streaming on Netflix following April's addition of Gentlemen Prefer Blondes, and it's the first of his westerns to hit the service. The second best of three riffs on the same basic narrative (the others were 1959's Rio Bravo and 1970's Rio Lobo), El Dorado isn't the director's best western—that honor goes to either Rio Bravo or Red River—but it's still immensely enjoyable. 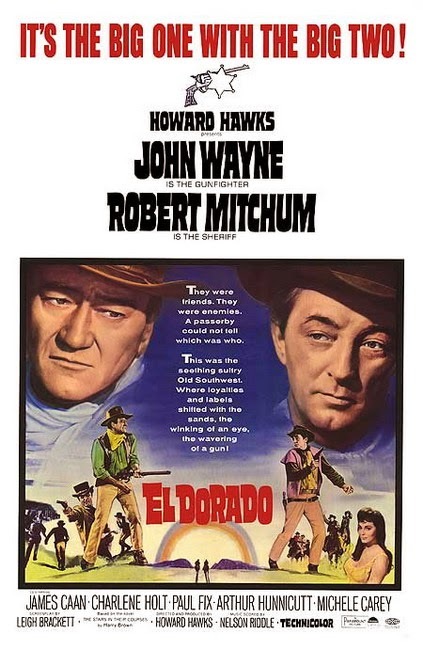 Starring John Wayne, Robert Mitchum and James Caan in one of his earliest film roles, it exhibits the familiar Hawksian dynamic of a group of professionals bonding under siege. Old war horses Wayne and Mitchum effortlessly play off each other as, respectively, the aging gun-for-hire and alcoholic sheriff, while Caan shows spiky exuberance as the young greenhorn better with a knife than a gun. Just as it owed a debt to predecessor Bravo, many of El Dorado's plot elements were later echoed in John Carpenter's Assault on Precinct 13 (1976) and Ghosts of Mars (2001). There aren't a lot of modern films that compel me to toss around words like "genius" and "inspired," but this animated French comedy had me grinning throughout at its bizarre humor, originality, and one-of-a-kind sensibility. 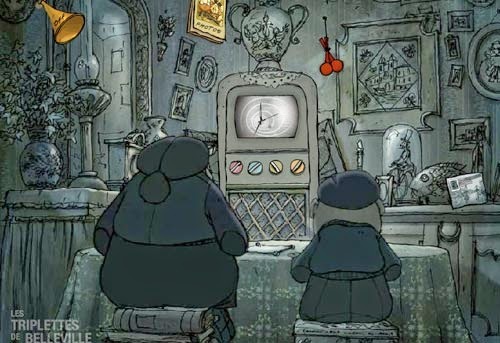 Bucking Hollywood's trend toward computer-generated animation, every frame in this film was lovingly hand-drawn and oozes with director Sylvain Chomet's off-kilter personality. Like an old 1930s Merrie Melodies cartoon filtered through Dali and given a French accent, the film's catchy, inventive musical routines and outrageous visuals compensate for the almost total lack of dialogue, leaving you charmed—and occasionally disturbed—but never lost or bored. Even if you generally avoid animated films, The Triplets of Belleville is the kind of experience that proves the exception to the rule. For fans of 1970s films and directors, the recent loss of Hal Ashby's Harold & Maude might be partially offset by the debut of Bob Rafelson's moody Five Easy Pieces (1970), which contains a career-making Jack Nicholson performance (see: toast, waitress, chicken salad sandwich) as well as a role call of that era's more offbeat supporting actresses: Karen Black, Susan Anspach, Sally Struthers, and Toni Basil. And then there are the aforementioned Robert Altman flicks: That Cold Day in the Park (1969), Popeye (1980), and Fool for Love (1985). None would be considered essential—I'd never even heard of the first one—but they add texture and context to the director's career, and to the impressive dozen Altman titles now streaming. Nice job, Netflix! Be sure to check for the latest updates on the What's New list at the top of the page.